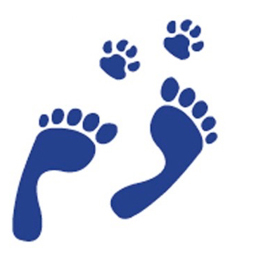 Our mission is to be a leader in personalized pet care by developing family bonds with our customers and their pets through individualized, loving, compassionate and knowledgeable pet care. At Canine Companion LA, we provide a safe, high quality, tailored experience for each of your four-legged family members. We develop weekly routines to let them enjoy the fresh air and sunshine through exercise, socialization hikes and play.  We partner with you to provide your pets with a well rounded, healthy, California lifestyle experience. We understand that each pet and family has unique needs. 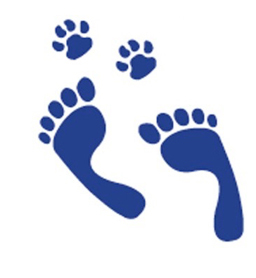 Our company prides itself in providing the necessary services so you and your pets can thrive. And if you need to go on a trip, we want to you to have peace of mind knowing that our pet sitters will love and care for your pets in the comfort of their own homes. We welcome all dogs for our services, whether they are socially at ease, shy or if they have fears of other dogs, people or situations. For our own safety, we do not take dogs who are aggressive towards people. 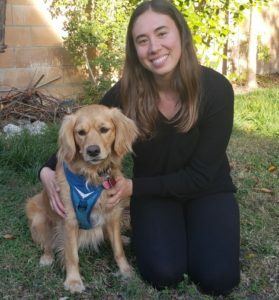 Canine Companion LA was founded in 2011 by Linda Grunfeld, who left the corporate world after graduating from the University of Maryland, to focus on her passion of helping and working with animals. 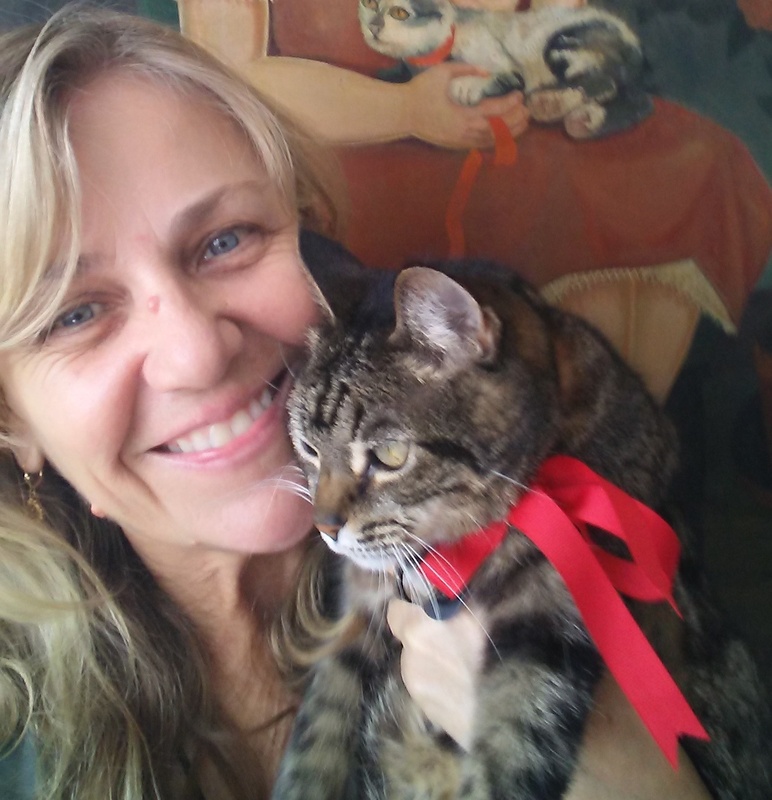 Linda has owned and cared for cats, dogs, gerbils, hamsters, mice and fish – her entire life. As a young girl, she often brought home stray dogs and cats. In 2002 she and her dog Moto drove across country to settle in California. Her career shift began when she adopted a dog from North Central Shelter in Los Angeles. 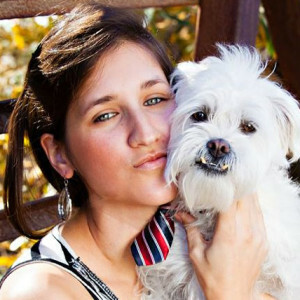 Her love for animals led her to look for a harder-to-adopt dog in 2007. Linda searched pet finder for months for a black lab mix before finding one that had been in the shelter for a long time. Lilo soon taught her about his special fears, which helped develop her understanding and skills for working with challenging dogs. These skills soon led to her involvement in fostering dogs for several local rescues in 2008. To date she has fostered and worked with more than 40 dogs that have all been permanently adopted. Linda’s experience has earned her the respect as a member of Los Angeles area network of dog rescuers and trainers. Her devotion continues to assure that animals receive humane and compassionate treatment. She is a proven pack-leader who provides canine companions with the love & attention they need to interact comfortably with their human and other canine friends. Canine Companion LA has organically expanded via word of mouth. 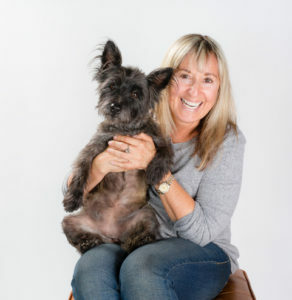 Her clients tell their friends, hairdressers, co-workers, neighbors and relatives how their pets LOVE their time with the Canine Companion crew. Linda and her staff spend quality time with each and every animal. Clients rest assured that their pets’ needs – however special – are always met. They feel confident their pets get the same love they would give them. The pictures and notes sent keep owners connected, but a wagging tail and a smiling face tell the story! Alli grew up in Denver, Colorado with several pets, the most memorable being her first tabby cat Annabelle, Eleanor the Newfoundland, and Teddy Bear the Poodle ,the smartest, most sensitive dog ever. After living in Australia for a few years, Alli made the big move to LA to be amongst her family. Moving to LA quickly brought on Alli’s love for pit bulls, and she became an advocate against BSL and other breed restrictive policies. Alli’s also been a volunteer at the East Valley Animal Shelter for years, walking and showing dogs, showing cats, cleaning kennels, and taking photos and making videos. She’s worked with several rescue groups fostering many dogs and kittens. CC (aka Carolyn) has loved pets from the time she was very young. While growing up in the rustic area of Mount Washington, seven-year-old CC was granted her very first dog. It was then that she swore an oath of unwavering responsibility to him for life, and she’s taken this attitude of commitment and passion for all pets into her adulthood. Since her first dog, CC has never lived without at least one pet in her life. She’s had several cats, many large high-energy dogs, and has kept a freshwater aquarium for years. CC’s love for animals eventually brought her to working at a full-service dog training and boarding facility. While working as a kennel attendant, she went on to complete the Dog Obedience Instructor’s Training at Animal Behavior College in 2016. Here, she also gained experience working in Group Obedience courses. Today, CC shares her home in North Hollywood with a special-needs Manx cat named Ping and several fish, including an 20+ year old African Catfish. 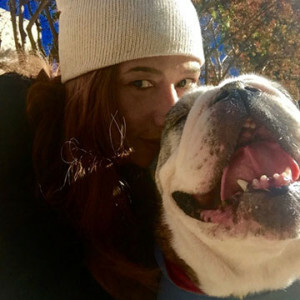 CC feels that every day spent with a dog is a learning experience and loves that Canine Companion LA shares her love of the outdoors as well as many of her philosophies about animal care. Donna’s childhood family pet was a wild cottontail rabbit named Harvey after the 1950 movie, “Harvey.” She came with her family from Kansas to LA in 1988 and now lives in Van Nuys with “my girl” Jasmine, a rescue from Rottweiler Rescue of LA. ”She’s my family,” she adds, of Jasmine. Donna fell into volunteering for Best Friends Animal Society in 2010 when Disney did a promotion offering a free day at Disneyland for a day of volunteering. Her love for animals grew after that day and she’s been volunteering since. In 2016 she finished her Emergency Response Training and Pet First Aid and CPR Training. When she’s not volunteering she enjoys hiking with Jasmine and going to movies with friends. Why Canine Companion LA? Donna loves being around animals and heard about Canine Companion through a friend. She enjoys enriching dogs’ and cats’ lives while meeting new people who share the same interest – Dogs and Cats! Erich grew up in Carson City, NV and only moved to LA in June 2018 with an interest in Comedy and Acting and a desire to get into the business side of film in Directing and Producing. Growing up he had a black lab/mutt named Shadow and three cats – Oreo, Smokey, and Edison. 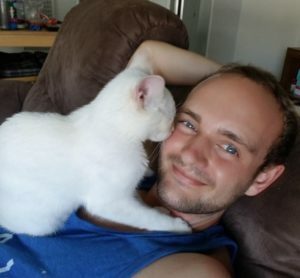 He now lives in Valley Village, with his new kitten named Marie. While Marie was growing up in Normandy, France, her family always had pets, including a female Fox Terrier named Vicky—”spoiled rotten”—and a mixed German shepherd name Faune —”very wild and not sociable at all, even the mailman was afraid of him!”Marie lived in Paris for 12 years as an adult, where she had a poodle named Poncho, and after moving to Los Angeles, she had small Pomeranian named Leo. Today, she is attached to her friend’s 8-year-old bulldog, Kayos. “I love her dearly,” says Marie. Marie likes to stay active by hiking, going to the beach and dancing. Pam is originally from Argentina—she came to the U.S. when she was 7, and has lived in the Valley ever since (and considers herself the total Valley Rat).Pam had a poodle when she was in elementary school but since her parents didn’t want any more pets after that, she got her dog fix by volunteering at dog shelters. Today, Pam lives in Reseda with her boyfriend Filip and Chewie—the best dog ever. He’s a Lhasa Apso mix (the dog, not the boyfriend). Pam loves art and does her own arts and crafts whenever possible. She has a blog on Tumblr—Pamsplaceofpositivity. In addition, Pam is a Reiki Master/Teacher and breathwork instructor. She loves dogs and getting exercise outdoors. Pam was attracted to Canine Companion LA because of its commitment to honest care for four‐legged companions. Rima lives in Mission Hills with her son, two rabbits (Frankie and Zoila) and her American Staffordshire Terrier, Wafia, a rescue.From a very young age, Rima has had a love for animals of all shapes and sizes. Growing up in Glendale, she had rabbits, tortoises, a duck and a pet goldfish named Sam. She began a small dog walking business when she was in Junior High School, and walked neighbors’ dogs during summer breaks and after school. 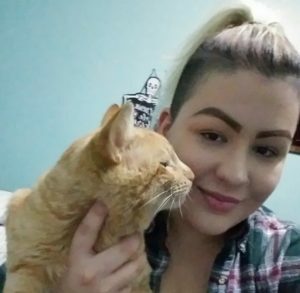 An avid volunteer at Best Friends Animal Society, Rima has taken courses on Pet CPR/emergency care, dealing with shy dogs, dog training, and behavioral courses. 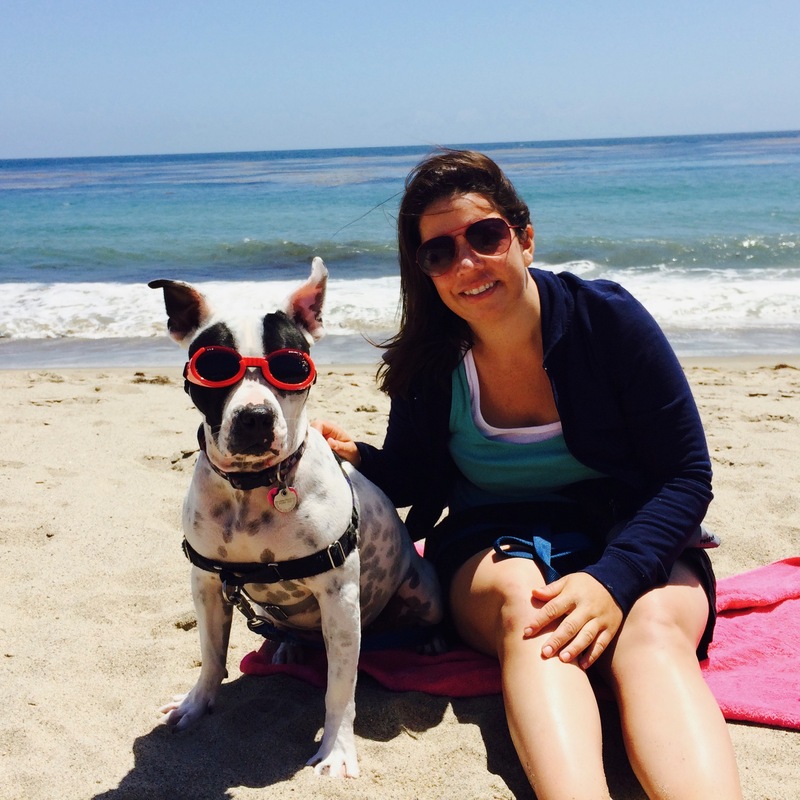 While she is transitioning to pet care as a profession, Rima is happy to be part of Canine Companion LA. Senika had all kinds of pets growing up in Sun Valley, California – a beta fish, a bird, a ferret, lizards, bunnies, five dogs and a few cats. She’s always had an affinity for animals, no matter what kind, although her favorites are mainly dogs. She enjoys exercising and playing with them because it helps them bond which she believes is good for both her and the animals. Not only does Senika like all kinds of animals, but she likes all kinds of activities as well – drawing, volleyball, singing, shopping, movies, amusement parks, going to the beach, and spending time with family and friends. And she definitely enjoys eating! Growing up in Mission Hills Shauna’s family always owned pets. Whether it was dogs, cats, birds, and even rabbits, she was never in a house without animals. Her favorite was her grandma’s dog, Reggie, who was a black lab. She said they were best friends and did everything together. He inspired her to utilize her love for animals to become a veterinarian. 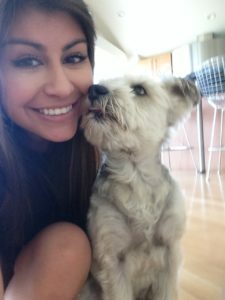 After graduating from UC Irvine she gained experience from taking care of birds, dogs, and cats as she worked as an veterinary assistant. Moving back to Mission Hills she takes care of her Golden Border Collie Mix, Girtie, who never goes a day without a walk to the park. Besides working with dogs, Shauna’s other hobbies include playing guitar, reading, swimming at the beach, and catching up on TV shows. Sofia grew up in Colorado but moved around a lot. She was born in New York and moved to Holland when she was very young. She then spent 13 years in Colorado, moved to Massachusetts for high school, and studied in Italy through college. She had always wanted to live in California and moved to Orange County California in 2014 to study Psychology at Chapman University. After completing her BA she moved to LA in August 2018. Growing up, Sofia had a long-haired Chihuahua named Itchy who she said was not a dog but rather a cat with nine lives! Itchy lived to be about 20 and was “the sweetest little girl.” Sofia built a little reading nook and would dress Itchy up, read to her, and sing to her, which her pet absolutely loved—even in her later years of life. Julie, Lincoln, and Ruby J.